A short video on Nikon’s YouTube channel teases the arrival of eye detection for its new Z series cameras. Microsoft isn’t just planning to bring the new browser to all supported versions of Windows, but other platforms as well. The Cox Elite Gamer package offers 'an optimized connection' for an additional monthly fee. When we test cameras on phones, the rear cameras are always more important than the front – but will that change soon? TechRadar Deals Amazon has the 2019 Apple AirPods on sale for $139.99, which is the best price we've seen for the earbuds. Verizon has opened pre-orders for the Samsung Galaxy S10 5G as it announces new cities to get 5G connectivity this year. 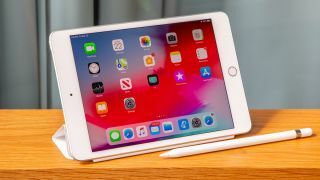 Deceptively powerful: iPad mini (2019) review The only small tablet you should consider. LG C9 OLED: the new ultimate OLED TV? LG’s new OLED has evolved into the smartest TV on the planet. Buying Guide The top ten standout best cameras you can buy right now – regardless of user level or price point. Hot on the heels of SpaceX, Jeff Bezos is planning to send humans into space – and much more. techradar deals Limited time deal to get a $20 reduction for two months - save money with this special PlayStation Vue price. Updated A new financial report outlines the company’s year-end plans that are rumored to include a smaller Nintendo Switch. Volvo is launching the most comprehensive online car buying service seen in the UK, and it could be rolled out in other regions too. Asus’s latest gaming panel is a super-wide, 49-inch monster of a monitor with a high refresh rate and HDR support. Mini Review Jaybird’s original Tarah earphones are plenty good enough for the price – even if the Jaybird Pros put them to shame. The Redmi Note 6 Pro offers a lot of phone for not very much money, making it a strong budget choice. Updated The foldable Huawei Mate X looks to take on the Samsung Galaxy Fold in a bid for the future of smartphones. Here's our take on it. Updated Oppo Reno 10x Zoom is the 'premium' Oppo Reno handset – but is it worth this premium price? Updated Build a website at speed with this popular budget host. A quiet and powerful mini PC, but is it worth the asking price? We investigate the Inspire to find out more. Bitdefender Antivirus Plus 2019 is an all round top-notch antivirus and it does particularly well against ransomware threats. If all you want is a streaming amp that looks pretty cool, the Link Amp does the job. Otherwise, you should look elsewhere. Updated Lenovo’s latest premium 2-in-1 portable comes with little to no compromises, with excellent battery life and a strong build. Quickly fix your computer without losing any files with this guide to using System Restore in Windows 10. Before you the plunge into the world’s most adult form of expensive lego, we'll show you how to build your first or next PC the right way. How To Hands-free audiobook listening is just minutes away. Here's how to copy and paste text and other files on Windows 10.
guide We’ve put together a list of top Fortnite building tips to help you earn that Victory Royale.